ICC “Think Big” 2018 graduate Xavier Gingerevans, of Louisville Ky., was chosen as one of four individuals from the U.S. to compete in the Caterpillar Dealer Top Apprentice Program in Melbourne Australia March 21-30, 2019, where he took home top honors in the Oral Presentation, Written Assessment, and Skills Olympics competitions. He is pictured here with Professor Mark Matthews. 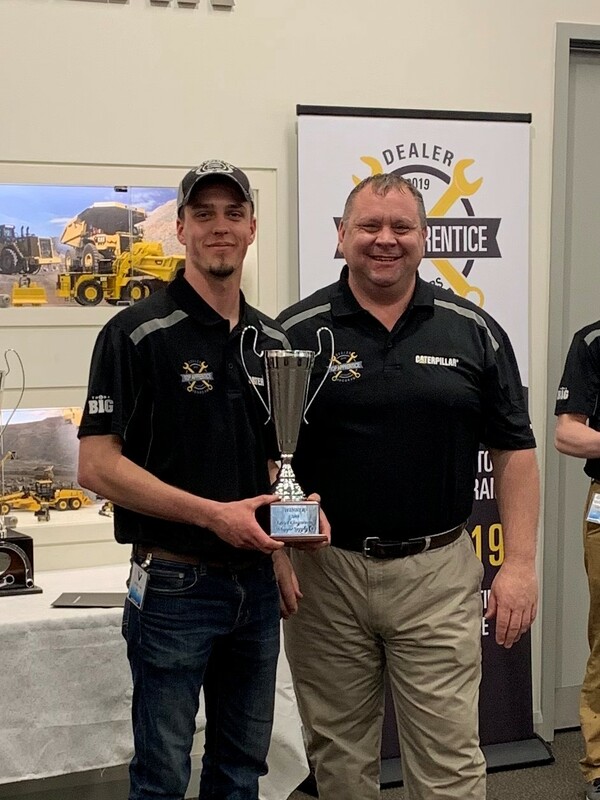 ICC “Think Big” program 2018 graduate Xavier Gingerevans, of Louisville Ky., was chosen as one of four individuals from the U.S. to compete in the Caterpillar Dealer Top Apprentice Program in Melbourne Australia March 21-30, 2019, where he took home top honors in the Oral Presentation, Written Assessment, and Skills Olympics competitions. Now in its 40th year, Caterpillar developed the program as a reward and recognition of the achievements by the apprentices and their dealers. The U.S. was invited last year for the first time to enlarge the competition to represent a broader selection. Each apprentice also is recognized for achieving his or her respective dealer award.